If Beyoncé cosigns you, you must be doing something right! 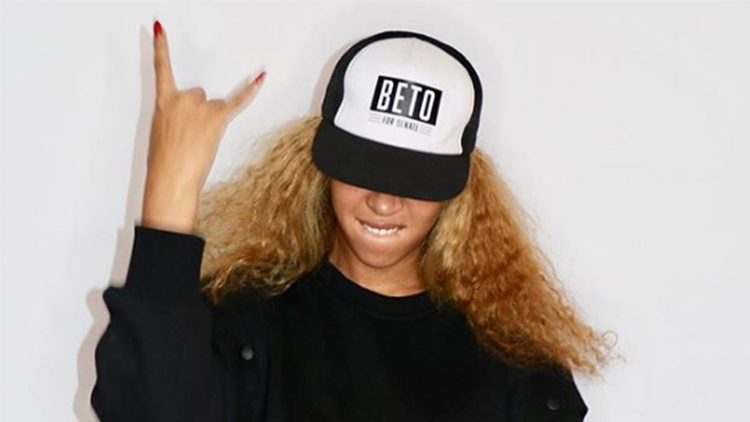 Never one to shy away from making a statement, pop icon Beyoncé took to Instagram today to show off which candidate she's supporting for the Texas senate race—and to urge people to get out to the polls and vote! "I’m feeling grateful for everyone before me who fought so hard to give us all the right to have a voice. We can’t voice our frustrations and complain about what’s wrong without voting and exercising our power to make it right," the Houston native wrote in an Instagram caption as she rocked a Beto O'Rourke hat. "We need you. We all need each other, because when we are truly united we are unstoppable. Sending you all love and positivity on this happy voting day! Every vote counts. Every race matters. Everywhere." You heard Queen Bey! VOTE VOTE VOTE! !